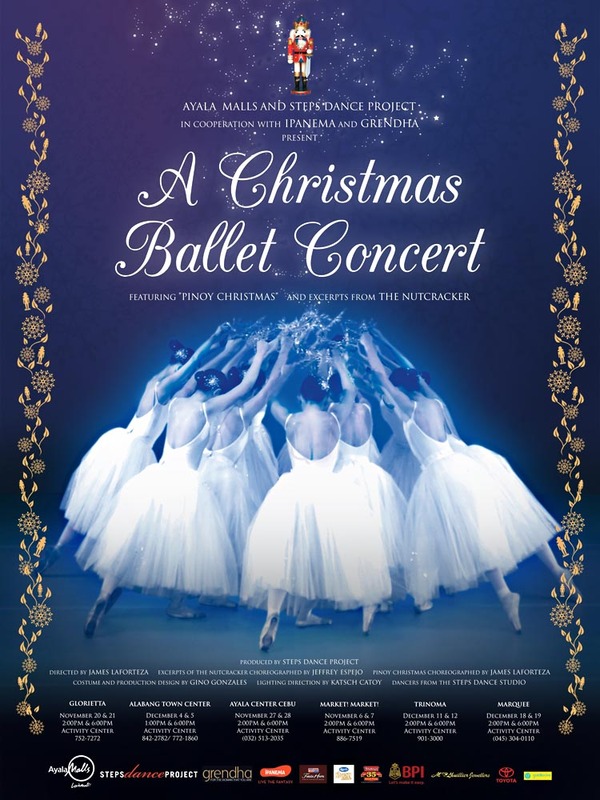 “A Christmas Ballet Concert”, featuring the Steps Dance Project, combines fluid dance interpretations of classic Filipino Christmas songs and excerpts from Peter Tchaikovsky’s classic ballet, The Nutcracker. 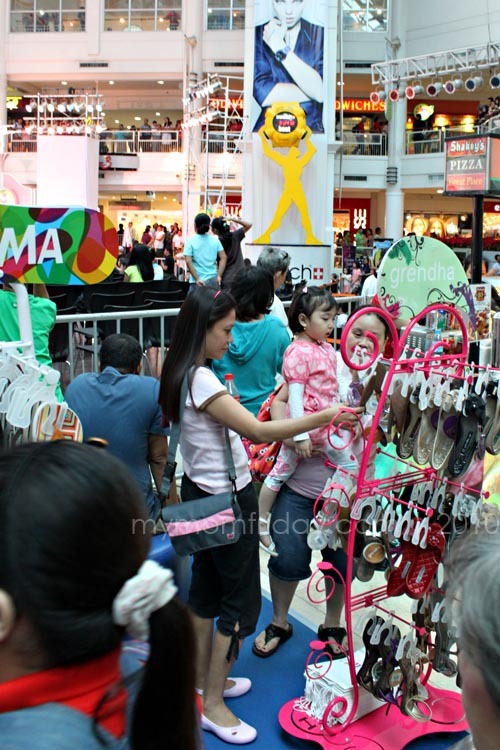 We got an advanced Christmas treat last Saturday as my family was invited to this wonderful ballet show by Steps Dance Project, presented by Ayala Malls, in cooperation with Ipanema and Grendha footwear. 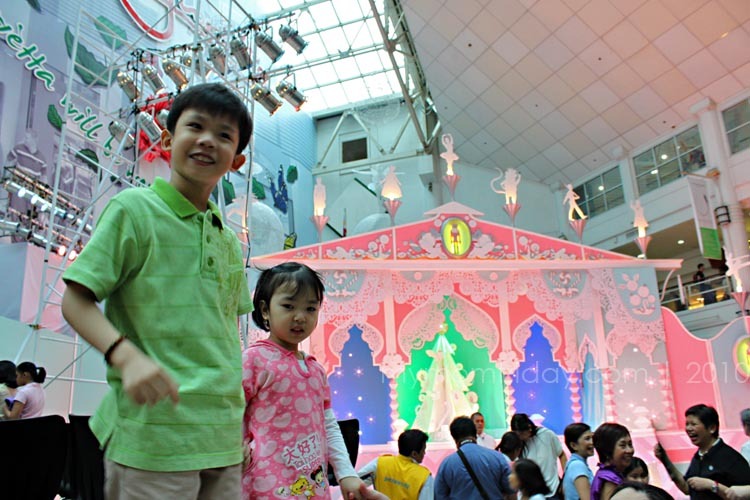 I immediately confirmed for the first scheduled matinée show at Glorietta and was quite excited to bring the kids to watch our first ballet concert at the mall. As a prelude to the program, fellow blogger Tetcha told me there was a live storytelling for children in the audience before we arrived. We were able to catch up on each other while being served tasting portions of Purefoods juicy hotdogs and Magnolia cheese as we wait for the program to begin. 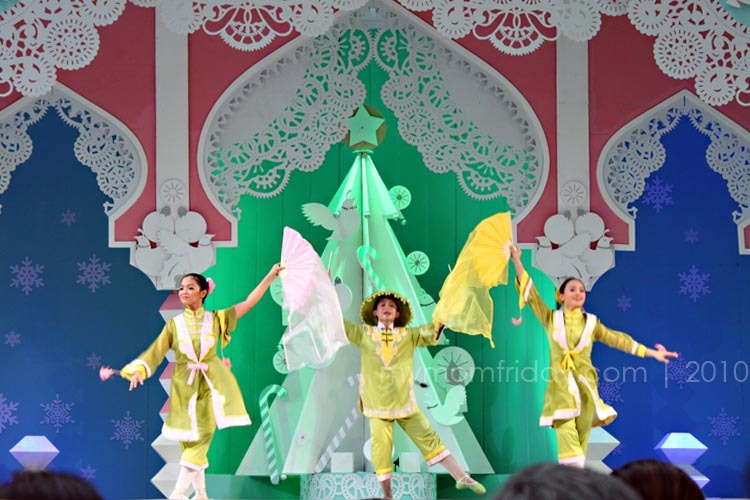 The show started on time with a short narrative, which segued to a lively opening performance by the ensemble dancing to a medley of popular Pinoy Christmas songs. 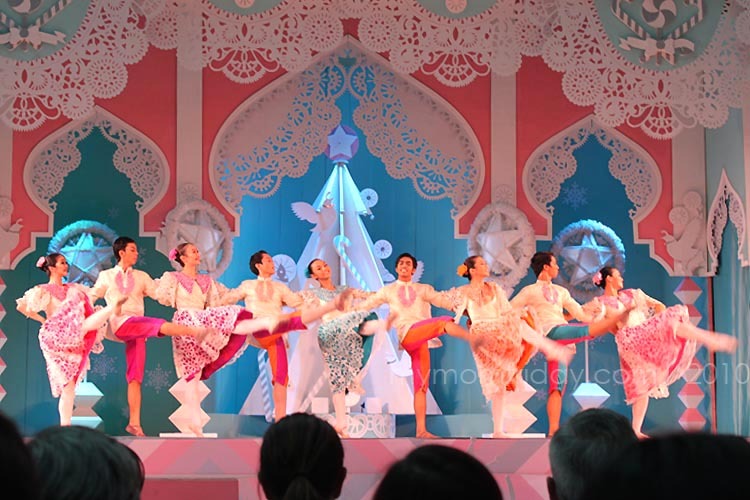 It was delightful to see graceful ballerinas dance to classic Filipino Christmas songs in the first half of the concert titled Pinoy Christmas. It had certainly set the festive mood for the event. 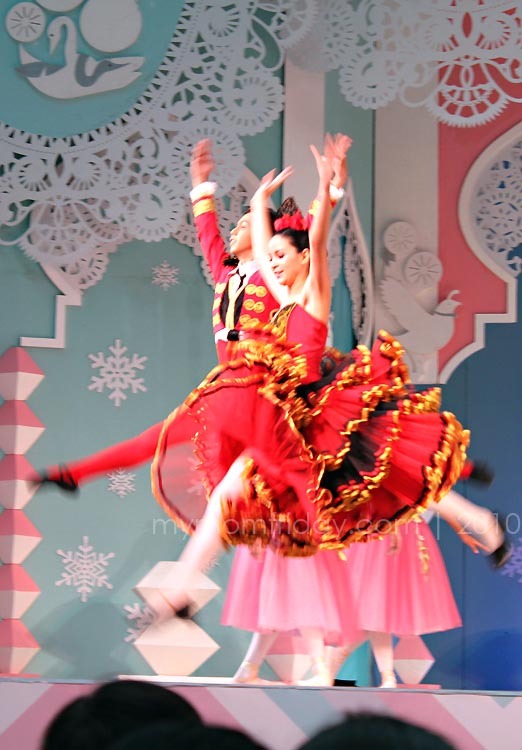 For the second half of the show, the dancers performed excerpts from Act II of The Nutcracker, Tchaikovsky’s world-renowned Christmas ballet production. To tell you the truth, I was not too familiar with The Nutcracker ballet. After reading a synopsis, I was able to interpret my photos and connect to the story which included the Dance of the Sugar Plum Fairy and her attendants for the main characters Clara and her prince. With their dazzling costumes and impressive turns and jumps to the beat of classical music, set against a fantastic stage design, it was truly a visual and musical feast! It’s safe to say the show was a success and congratulations are in order for the talented Steps Dance Project ballet dancers led by the concert choreographers and the whole production team. 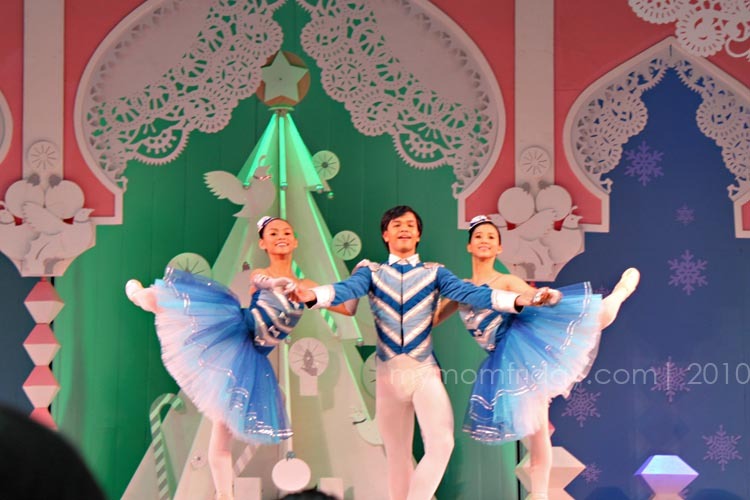 Watch a portion of the first set from Pinoy Christmas to get a glimpse of this special holiday ballet concert. For show schedules this December, click on the poster below. The show is FREE. Some seats are reserved for invited guests. You may inquire at any Bambu stores at Glorietta, Trinoma and Marquee malls, or call the numbers on the poster if you are interested. This was one memorable Saturday afternoon. Click here and see who we bumped into after the show! Ipanema product shots and poster courtesy of ELRO.